Last edited by Uwfalum98; 02-10-2019 at 08:19 AM. I had missed the QB transfer. Looks like he's got some wheels, too. Being a local guy and one of the first players recruited, I had high hopes for him. Yet, the few snaps he took as QB were unimpressive. Maybe that will change his senior campaign. Laissez la bon temps rouler! 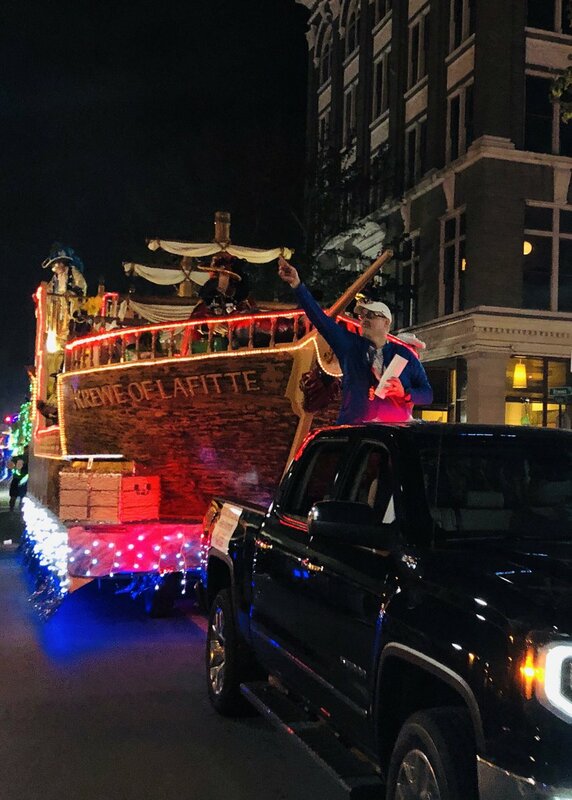 Argos lead the Pensacola Krewe Of Lafitte parade! I noticed attendance lagged a bit this past year. I hope that reverses this season. Otherwise, I fear they will stop televising them live locally. That's a lot of turnover. Odd that Schwarz quit football for "other opportunities". But, appears to be some good talent competing for QB. Yes it's a lot of turnover, most of which was on D, but we bring back our entire OL , some really good RB's and WR's. The QB's look good and we have a few guys on D returning. Should be an interesting year. PNJ makes it difficult to access referenced articles. I just wanted to read article, not take a 5 minute survey. Was going to try to read this article. But got bombarded with pop-up's, spam, click bait etc. What did the article say? Unfortunately you have to have a pop up blocker on to even attempt to read their articles. Basically the norm, a local kid staying home to represent the community and how Chris Schwarz was a mentor to him. How after breaking the rushing record at Pace High he wanted to leave his mark on UWF Football and his love for Pensacola. I believe if you use private browsing and clear your cache you can read the articles, but they will complain that you have an add blocker on. It should still work but they are making it increasingly more difficult. Ummmm,, you are giving Larold a bit to much credit. To him, his cache is where is hides his beer! Just saying.